Situated at the juncture of Bahamas Out Island culture and American influence, Nassau boasts a collection of restaurants that blend local with global. As a major tourism destination, it keeps resort guests happy with on-property restaurants that well surpass "hotel food." This is especially true at Atlantis resort on Paradise island and Baha Mar on Nassau's Cable Beach. The resorts have raised the bar for Nassau dining. 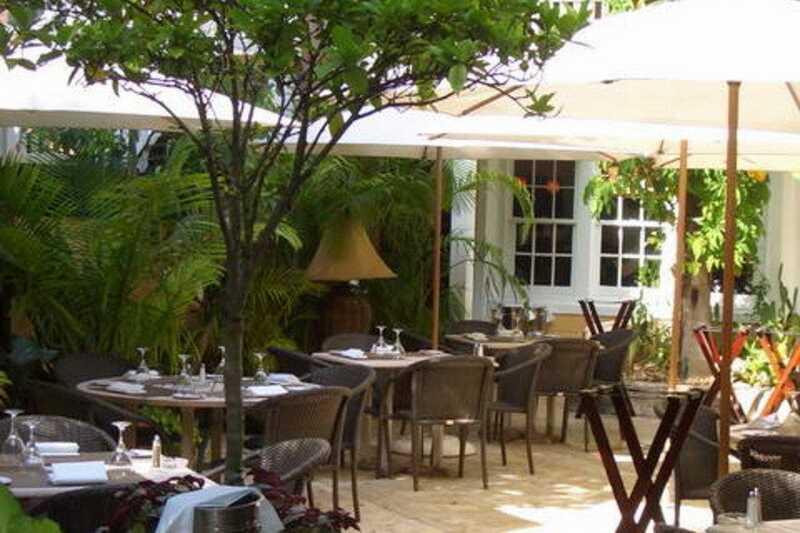 Away from the resorts, this list also culls some other gems around the island of New Providence, such as Sapodilla Fine Dining, which opened at the edge of Cable Beach in December 2013. 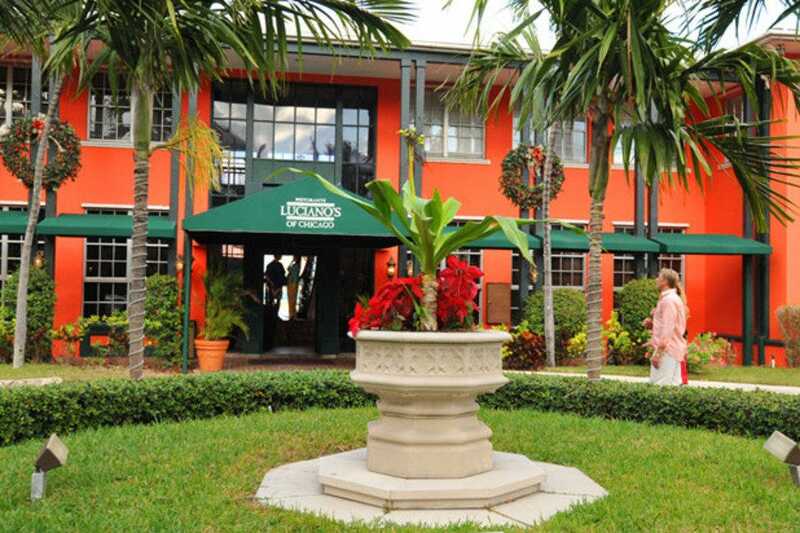 It strives to rival downtown's gold-standard fixture Graycliff Restaurant with its blend of Continental and Bahamian styles and products. For a taste of old Bahamian such as what prevails in the Out Islands, hit the Fish Fry on Arawak Cay, where everything is authentic island style and lively. From Japanese sushi bars and Italian restaurants, to seafood and steakhouse dining, Nassau covers all of the culinary bases, and this lists points you to the best in each genre. Look out at yachts bobbing in the harbor and the towers of Atlantis in the distance as you contemplate your choice of seafood. The day's just-caught offerings fill an iced bin at the restaurant's entrance. 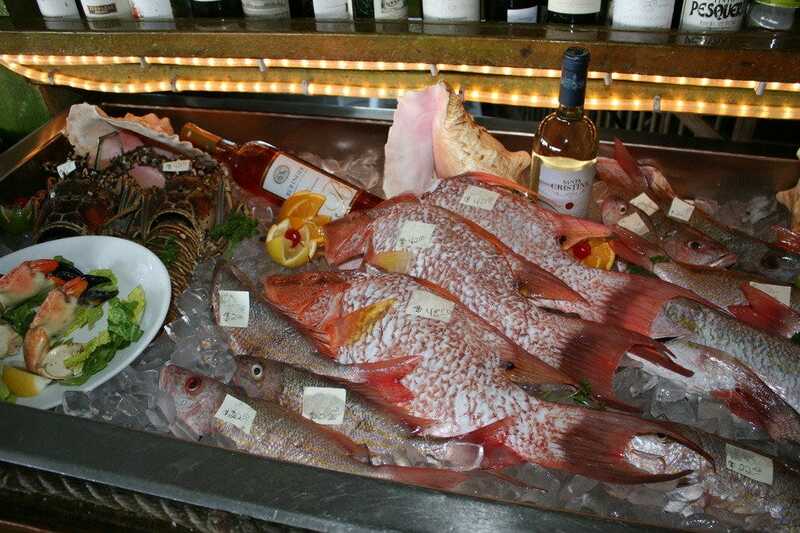 You can pick your meal from the selections, which typically consist of red and yellow snapper, hogfish and Bahamian spiny lobster (crayfish). Can't decide? 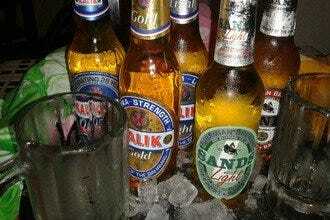 Order a combination platter. 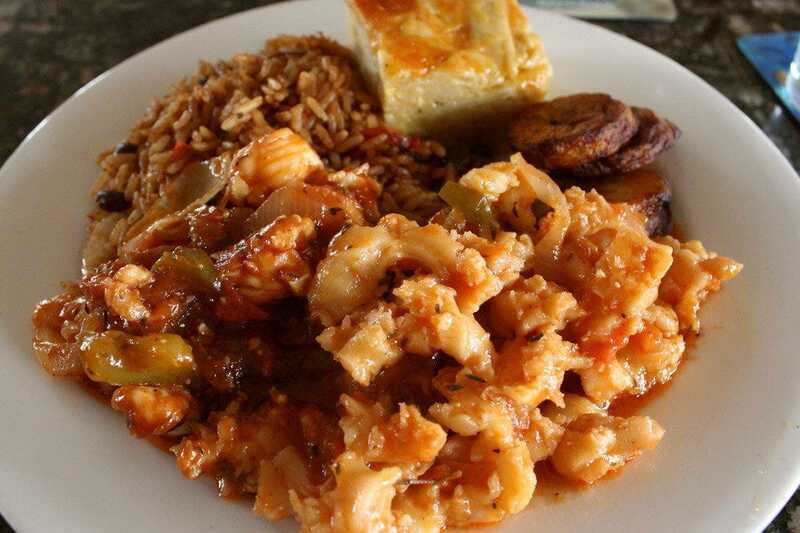 Or go native with cracked conch, Rosie's chicken (the pick of locals), or grouper simmered in tomato sauce. There's also pasta and grilled meats. In addition to Bahamian specialties at lunch, the menu offers burgers, hot and cold sandwiches and salads (grilled mahi Caesar, for example). In the Bahamas' Out Islands, the tradition of Fish Fry defines a gathering of small stands and shacks where cooks prepare authentic homemade Bahamian cuisine - from fried chicken and stew' fish to conch salad and guava duff. 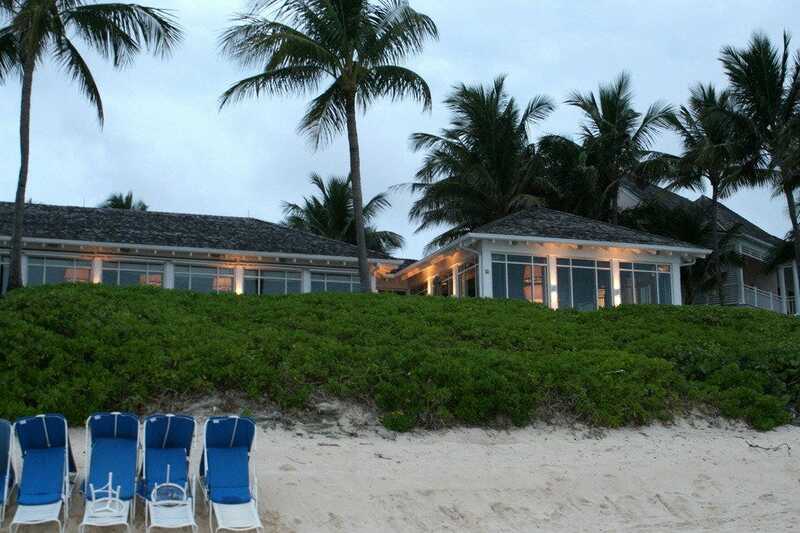 Within walking distance of the cruise-ship port, Arawak Cay holds Nassau' authentic version. Some of the most popular sit-down restaurants include Goldie's, Oh Andros and Twin Brothers. Newest to the scene, D'Waters Cafe serves arguably the best. Whereas most of the restaurants serve Bahamian food in every form, D'Waters is more selective, meaning better care and quality. Besides food, the colorful collection of restaurants and bars comprise a drinking and partying destination, where live music plays into the night. Internationally known chef Nobu Matsuhisa has acclaimed restaurants in world-class cities such as New York City, London, Las Vegas, Miami, Dallas, Milan and Tokyo. Atlantis' Nobu is every bit as elegant, sleek and design-forward as the rest, and the food makes an equally impressive statement. 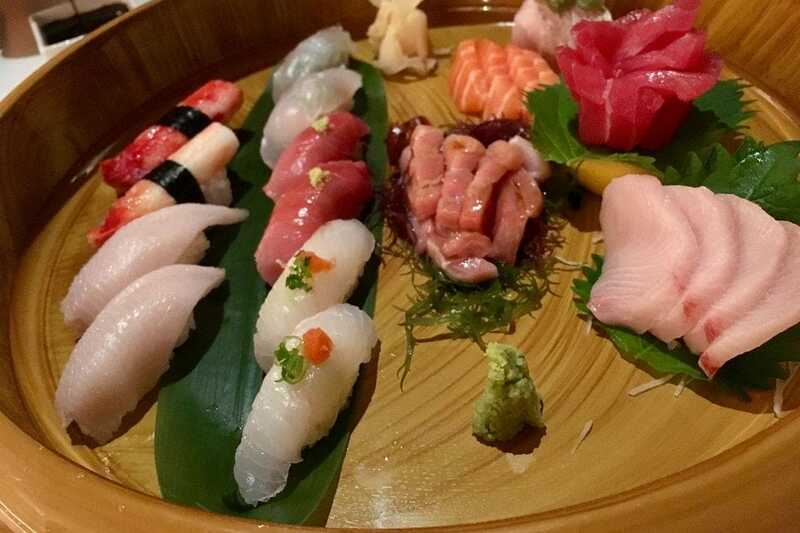 Sushi and sashimi make up the heart of the menu, but there are several additional options as well, including steaks, tempura and a host of cold and cooked Japanese dishes such as scallops wasabi, pork belly with spicy miso, and seafood tempura. Be prepared for a little sticker shock, with dishes such as wagyu beef at $47 per ounce and Maine lobster wasabi ($80). Well-behaved children over 12 are welcome. Set in a former mansion, Luciano's says elegance from the moment you enter the marble and mahogany foyer. Dining areas benefit from creative atmospheric lighting, which accents the warm colors and mesmerizing harbor views. Traditional Italian fare is the specialty, although there are a few excellent Bahamas-inspired options as well, such as the unusual conch cakes with rosa aioli. Pastas are perfectly al dente, well-sauced and available in half portions, but perhaps the star dish is the juicy clay pot roasted chicken with lemon, garlic, potatoes and tomatoes. Steaks are also a specialty Enjoy a cocktail or a glass of wine in the bar before dinner â" Nassau's 9 to 5'ers frequently gather here for after-work appetizers and socializing. International super-chef Jean-Georges Vongerichten has added two Bahamas eateries to his ever-growing list of innovative restaurants. At Dune, his creative fusion of Asian and French cuisines, with a hint of local island flavor, makes for a unique, but pricey (a $25 burger anyone? 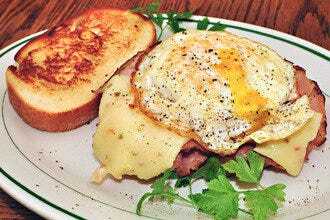 ), dining experience here for breakfast, lunch and dinner. 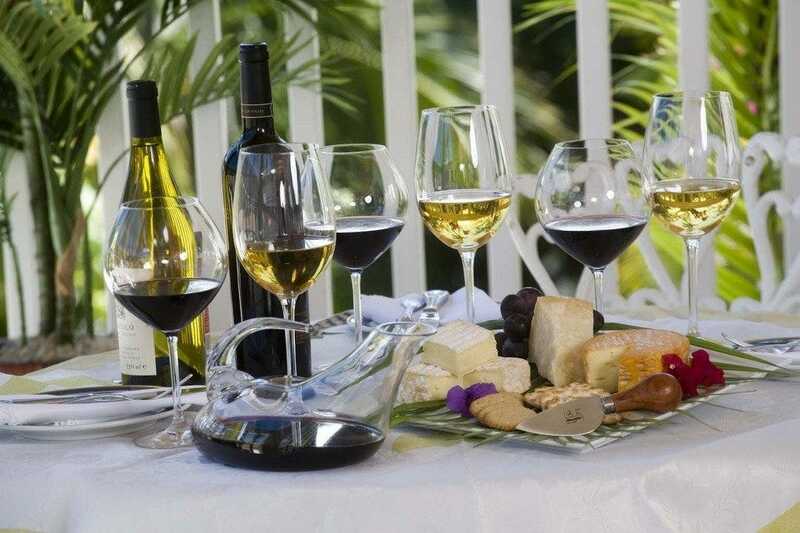 Highlights include chicken and coconut milk soup with shiitake cakes, goat cheese fondue with frisee and red pear vinaigrette, Bahamian lobster with light curry and plantains and cheesecake with blood orange. Dune's ambiance, created by French interior designer Christian Liaigre, gets equal billing â" striking ocean views, wraparound terraces and an intriguing display kitchen combine for absolutely winning results. Widely regarded as one of the top restaurants in the islands, this Atlantis restaurant has all the hallmarks of a traditional American steakhouse, but with a well-rounded selection of seafood and global dishes. The club atmosphere is accomplished through liberal use of dark wood, overstuffed chairs and deep, masculine colors. Whet your appetite with some local seafood such as the house-designed island style shrimp cocktail, a spicy conch chowder or the onion soup gratin made with local Sands beer. Then splurge on the chateaubriand for two or other prime aged beef off the grill. If you're craving seafood, try the bronzed salmon or garlic shrimp. Indian dishes satisfy any vegetarians in the group. Katsuya has three kitchens, your server will explain. One is the sushi bar, another the robata 1000-degree grill, and the third the "liquid kitchen," aka, bar. Start with a white grapefruit cosmo with two sotted fresh cranberries or the refreshing cucumber, sake and vodka number from the liquid kitchen. Cucumbers figure largely into the Japanese cuisine at Baha Mar's high-end restaurant, which spreads from casino-side to outdoors in a sleek Philippe Starck-designed vision. The centerpiece sushi bar puts out an excellent roll wrapped in thin cucumber. A palette-cleansing salad combines sweet-sour wakame seaweed with chunks of pickled English cucumber. Perhaps the best veggie surprise, however, the Brussel sprouts dish combines robata-crisped leaves with bonita flakes for the utmost umami. Other inspirations from Chef Katsuya Uechi: baked crab hand rolls, yellowtail sashimi with jalapeno and ponzu, French-boned lamb chops, and Wagyu with mushrooms. Nassau's newest fine dining restaurant is named for a local fruit and is nicely Bahamian in its treatment of Continental cuisine and décor. The experience begins in the garden, where you can enjoy a cocktail and native drummers. In the art-decorated dining room, service is doting as you select appetizers â" honey gingered duck breast with braised red cabbage and pear relish or escargots en croute with Boursin, perhaps. Lovely breads come with house-churned butter. The nicest surprise: Sapodilla still does table-side service for salads, such as marinated conch salad and the classic Caesar, or desserts like the cherries jubilee, made with house-churned ice cream. Entrees range from pastas such as the fresh-made basil pasta with seafood to local fish like pan-seared snapper, and fine meats such as rack of lamb. Meals do not come cheaply here, but attention to detail (and import fees) justify the cost. Matisse the painter may have been thoroughly French, but Matisse the café leans more toward Italian. Set in an 1800s home, the restaurant has a charming courtyard and an abundance of colorful art prints on the walls. 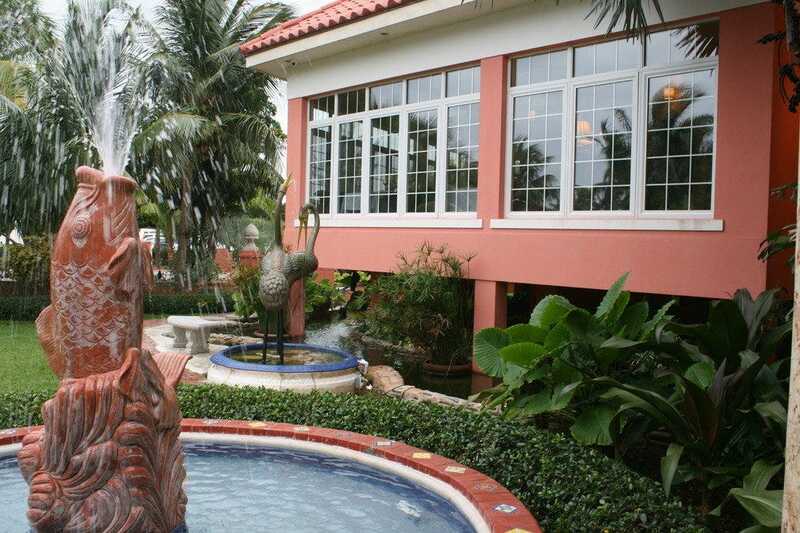 It's located behind Parliament Square just steps away from the country's legal and business center in downtown Nassau, which makes it a popular lunch hangout for lawyers, politicians and local business persons. The prix fixe menu changes regularly, taking advantage of the freshest available produce; dishes are creative and wonderfully flavorful. 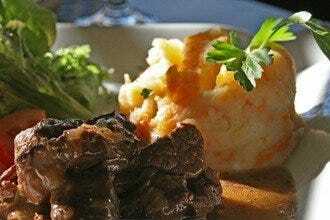 An a la carte menu is available on Sundays only. 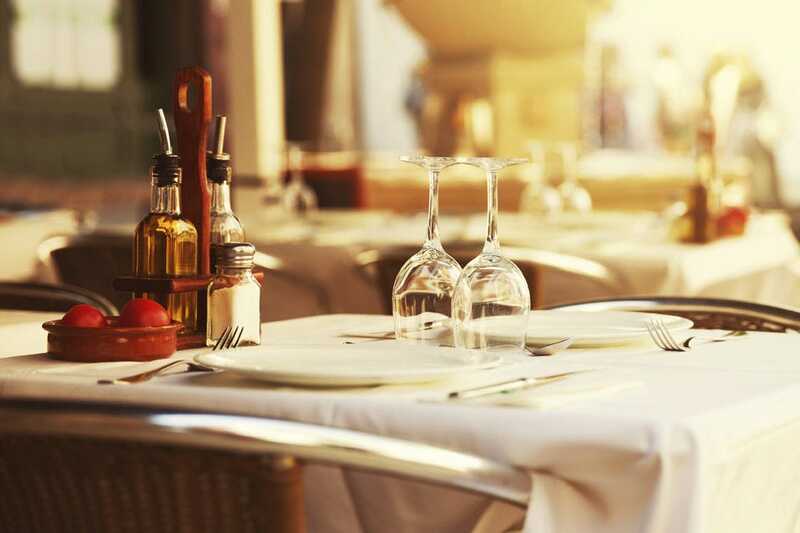 Meals options include three, four or five courses with selections such as peppered lamb carpaccio, grilled shrimp wrapped with speck ham and Muscovy duck with roasted foie gras. An inimitable Nassau experience, Graycliff Restaurant is a five-star dining establishment serving Continental cuisine with a Bahamian twist. The dining experience feels like you are settling into an intimate dinner party with friends at their historic, colonial-style mansion â" that just so happens to house an award-winning wine cellar. With more than 250,000 bottles, there's a vintage for every taste and budget. White-jacketed staff attend, serving perfectly executed versions of classics such as coeur de filet quatre poivres and guava souffle. Graycliff is not exactly budget-friendly; you'll need to save up for this meal. The experience also includes hand-rolled cigars, signature coffee and chocolate, with a factory and wine cellar you can tour. Reservations are essential.